We've had a busy couple of weeks! The 4th of July was really fun, starting with meeting up with some old friends from Kansas for breakfast. The food was very, very good. 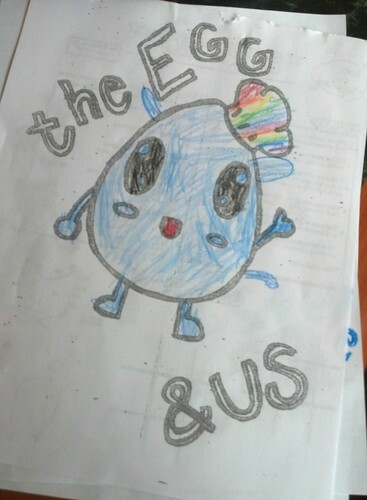 The kids' menus had eggs to color on the back and the kids had a lot of fun with that. This one is Rainbow Dash. 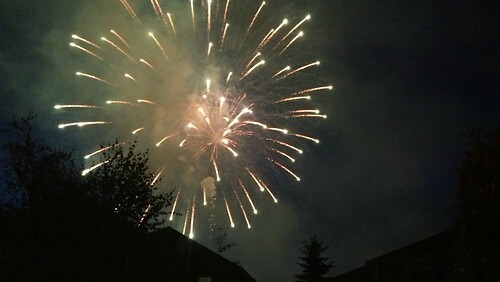 Later on, we had friends over for dinner and visiting, ending with watching our city's fireworks show. It was pretty good! Then we got up at 4:30 a.m. the next morning and got on an airplane to California. 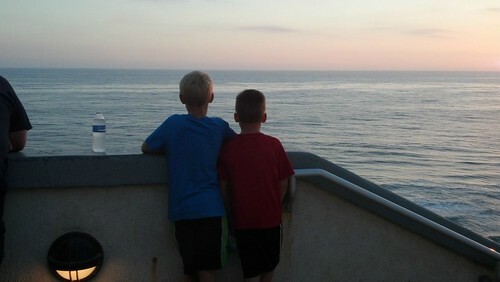 We stayed with my sister-in-law at her (very kind and gracious) mom's house for a few days and then went to San Diego to a family reunion where we celebrated my grandpa's upcoming 90th birthday. I also got to spend time with a very good friend that I hadn't seen since 2008. We went and watched the sunset one night. It was so pretty. And much earlier than where we live. We saw airplanes and a Ripley's Believe it or Not exhibit at the Air and Space Museum. 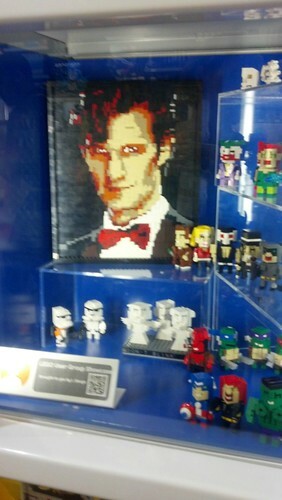 And Lego Doctor Who, when we ate at the mall food court. Bowties are cool. 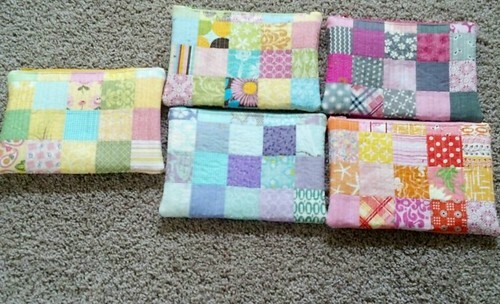 I made quilted zipper pouches and brought them for my sisters and SILs that I saw on the trip. 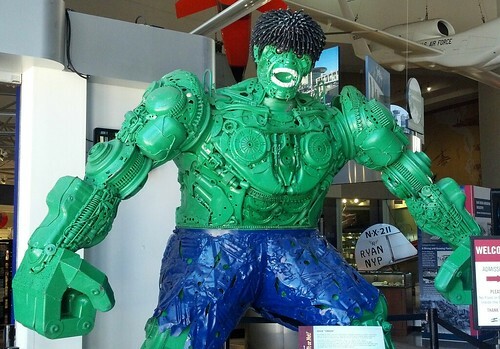 I need to make one of these for myself, soon! 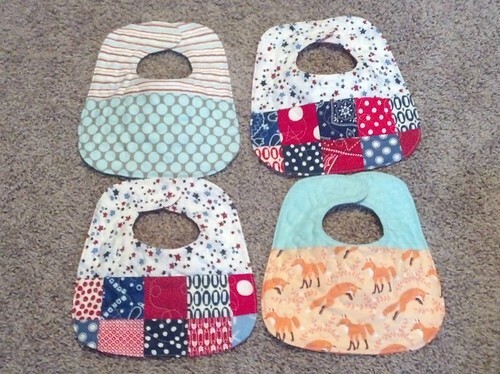 And I made bibs for two cousins who are expecting their first babies. It was so good to get reacquainted with siblings, nieces and nephews, cousins, and everyone else. These feet belong to a really cute and sweet 2 year old niece. I came home feeling exhausted but also full of so much love for my whole family. I'm so glad we were able to spend time with all our loved ones. Sounds like a wonderful time! Thank you I received my set of potholders and love them!! I could not remember if I had emailed you! You sewing is lovely. 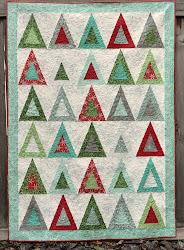 I am in love with you fox and geese block!